After a week of consecutive lay-days, and uninviting conditions, the Billabong Rio Pro finally got underway on day 7 at the backup location Arpoador. Stop 3 of 11 on the men’s ASP World Title season saw round 1 successfully completed in consistently changing conditions that challenged each surfer’s skills. In the first round of three man heats, winners progressed to round three, and second and third entered round two, the knockout round. Almost missing his heat, Kelly Slater (USA), current leader of the 2011 tour, made up for lost time. 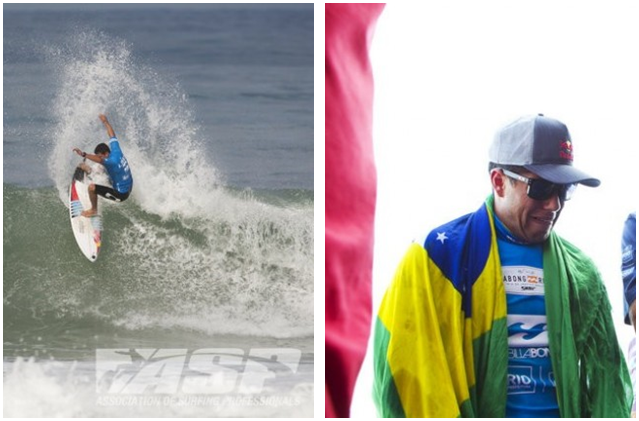 Attacking the waves with style, he sent Julian Wilson (AUS) and local wildcard Peterson Crisanto (BRA) into round 2. Mick Fanning (AUS) was on fire up against Dusty Payne (HAW) and Simao Romao (BRA), securing a solid 15.07 (out of a possible 20). With his trademark cutbacks, and swooping turns, it’s clear why Mick Fanning is a two time World Champion. Patrick Gudauskus (USA) upset current world number three Jordy Smith (ZAF) and wildcard Igor Morais (BRA) in the lowest scoring heat of the day. With a total heat score of 8.13, Gudauskus became one step closer to his maiden tour victory. Day 8 of 12 saw round 2 underway, with winners progressing to round three, and losers exiting with an equal 25th and 500 points for the tour leader board. Heat number one opened up with Jordy Smith and Peterson Crisanto going head to head at backup location Arpoador. Local wildcard Crisanto wasn’t good enough for Smith, who scored an 11.67 to Crisanto’s 7.10. 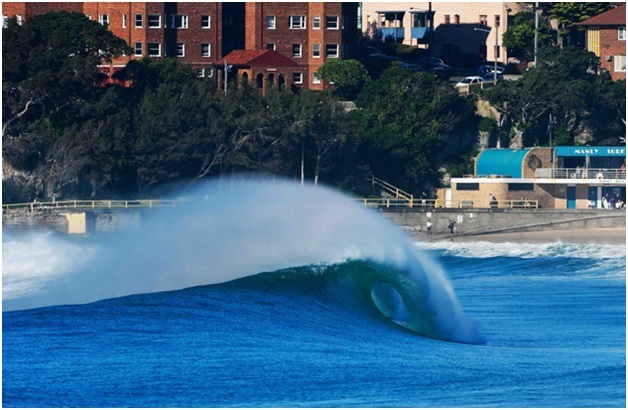 Bede Durbidge (AUS), Michel Bourez (PYF), Joel Parkinson (AUS), and CJ Hopgood (USA) were the top names to progress to round three, sending their opponents packing. Not only are points and prizes on the line, but the importance of gaining solid results before the midyear cutoff are just as good as the massive cardboard cheque. Round three is on the cards for day 9, however with the ever changing conditions starting round 4 underway is questionable. Bells Beach, the iconic home of the Rip Curl Pro and Surfing Australia is celebrating its 50th competition year with a star-filled line up. Event number two along the ASP World Tour (WCT) journey is sure to feature some excellent surfing for the 50th year celebrations. This year at the traditional Easter contest, 10x world champ and 2010 Bells winner Kelly Slater will be headlining the event, along with everyone’s favourites Jordy Smith, Mick Fanning, Joel Parkinson and Taj Burrow. Let’s not forget the women; Steph Gilmore, Sally Fitzgibbons, Coco Ho and uprising Tyler Wright. Throw in some local wild cards, and you’ve got yourself a lethal combination of tallent. Bells Beach has two breaks that take centre stage for the event. The more popular ‘Bowl’ is preferred, and works best on a low tide. Rincon is the second break, and works best on a high tide. And when the conditions aren’t favourable to Bells, the event can be moved to the fast flying, J-Bay resembling Winkipop. The second backup location is Johanna Beach, commonly used as a last resort, and when the event is running low on lay-days (days where the swell is below average and the event is postponed for the next day). However if the sand banks are working properly, Johanna’s can offer some of the best beach break waves in the world. The recent change in format allows spectators to witness a higher level of surfing, with no surfers being eliminated until the second round. The format involves a three man round 1 heat, with the winner progressing to round 3, and the runners up battling it out in an elimination heat in round 2. Again in round 4, the winners advance to the Quarter finals, and 2nd & 3rd go to an elimination round 5. This new format allows surfers to get more “radical” in the water and try out new maneuvers that may not have appeared in previous years. The Rip Curl Pro Bells Competition is more than bragging rights. The trophy; a massive bell, and only the winner can ring it. It’s one of the most sought after trophies in the WCT. Day One and Two Highlights.. Huge upsets in Round 1 of the men’s comp saw the highly ranked Jordy Smith and Taj Burrow having to compete round 2 to stay alive in the 2011 Rip Curl Pro Bells Beach Competition. After Smith finished third in his heat (9.00 out of a possible 20) to Hawaiian surfer Dusty Payne (10.50) and Australian Stu Kennedy (11.70), the pressure was on for the 2010 number 2 to pull it back together in Round 2 against local wildcard Adam Robertson. With the event moved to Winkipop, the superb conditions saw the two boys put up a huge battle in the elimination round. Smith was triumphant with a 17.43 over Robertson’s 16.26 to proceed to round 3. Word on the beach is that Robertson was ‘robbed’ (no pun intended) of his round two victory, however footage replays show that Smith had the maneuvers to get him through to the next round. Enter Taj Burrow (AUS) v Bobby Martinez (USA). With Burrow one of the favourite’s to ring the prestigious Bell, after taking out the 4 Star Brekka Berleigh Pro earlier in the year at the Gold Coast, Martinez stepped up the notch and bumped Burrow out of contention with a 16.16 to Burrows 15.93. This is Martinez’ first heat win since the Search event last year. The girls can rip too. Round one highlights saw 4x World Champion Steph Gilmore through to round 3, along with Silvana Lima, the bubbly Carissa Moore, Sally Fitzgibbons and Coco Ho. Round two (following the same format as the blokes) saw Jessi Miley-Dyer, Melanie Bartels, Carissa Moore, Chelsea Hedges and Courtney Conologue progress to round 3, whist the 2nd place getters finished with an equal 13th on their WCT score card. With a solid swell forecast for the next few days, the surfing spectacular should be at its prime. 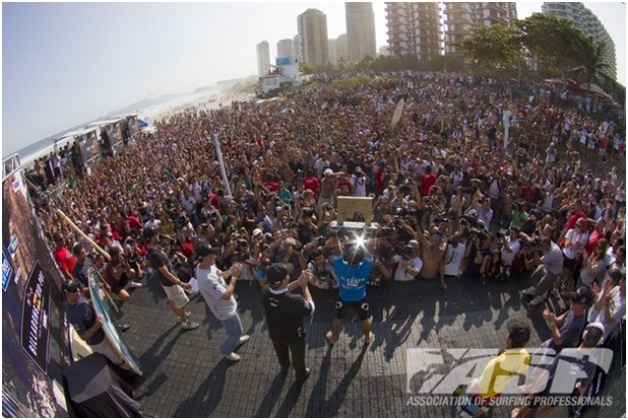 All the action can be seen live online at www.live.ripcurl.com and also broadcast on FUEL TV.